Nothing says TGIF like fuzzy socks, some cheerful music, and homemade pizza. 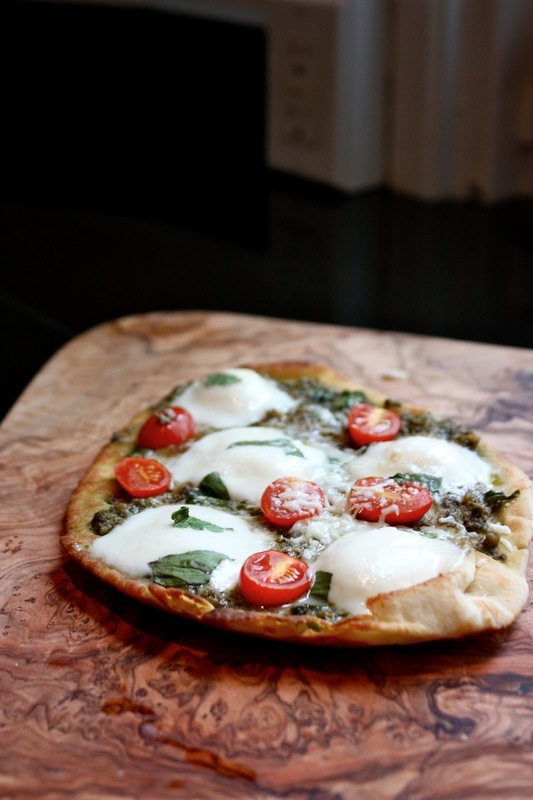 If you’ve never made homemade pizza before, I dare you to give it a go. Homemade pizza dough is so easy to make ahead of time and leave in the fridge to rise– and it’s ready to go when you are! I love being able to customize the pizza to my family’s tastes. My mom doesn’t eat very much dairy, so I usually make one pie with cheese, and one without. Not only are my homemade pies much healthier (hello whole wheat deliciousness and fresh veggie toppings! ), but nothing beats the smell of fresh pizza baking in my oven. It’s Sunday night, but it’s never too early to start thinking about the next weekend. Don’t you agree? This is a great vegetarian dish to try out — all of you meat lovers will forget all about the pepperoni when you taste this medley hearty mushrooms, sweet onions, and peppery pesto. Top this off with some bubbling mozzarella cheese for one of the most elegant and sumptuous pizzas combinations ever — slightly smoky, a touch salty, with a balance between rich and light taste. yeast in bowl of an electric mixer with dough hook attatchment. Mix until incorperated. that rides around the bowl. onions are soft and browned, 10 to 15 minutes. 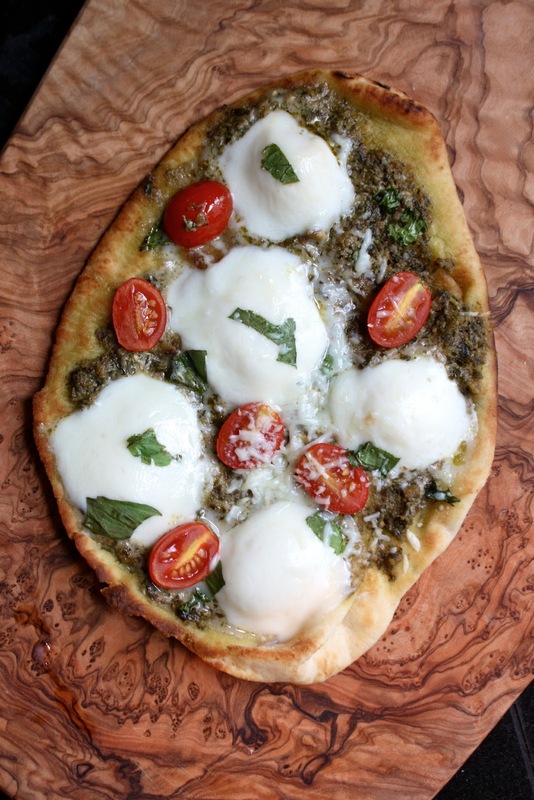 parchment-lined baking sheet or pizza pan (whichever you are using). baking sheet or pizza pan into the oven. spots, 8 to 12 minutes. Remove from the oven, slice and serve.